I haven't done one of these in awhile, but...it has a cover! Who's excited?! This girl! Super excited! Six dangerous outcasts. One impossible heist. Kay's crew in the only thing that might stand between the world and destruction - if they don't kill each other first. That cover is AMAZING! 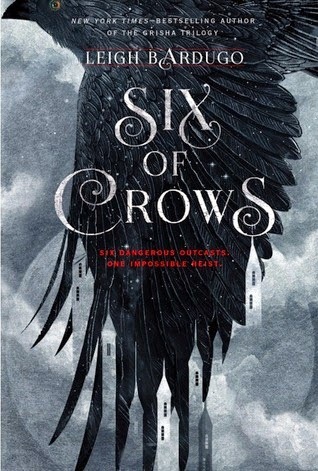 I still need to read the Grisha books, but this one is already on my wish list!